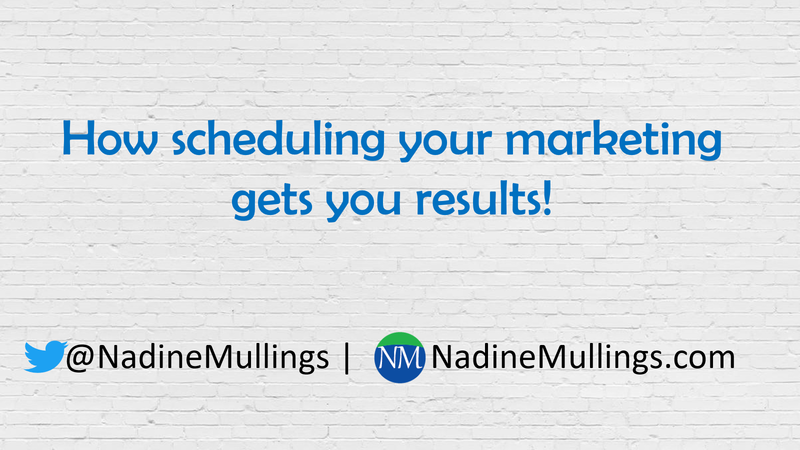 Are you scheduling your marketing activities? How consistent are you with scheduling? ‘If it’s not scheduled, then it’s not real.’ That is a quote by Marie Forleo. How does it make you feel? If you have not scheduled your activity to happen then it does not exist, it is not real and not happening. The biggest issue most have with marketing is inconsistency. The biggest way to shift from occasional and random to strategic and consistent is to SCHEDULE. The BEST Marketing Planner – you receive marketing strategies and a planner that allows you to schedule out your marketing. It is a 90-day planner that allows you to plan on a monthly, weekly, and daily basis. CoSchedule – this is an online tool that allows you to take what you have planned to share through automation. You can schedule your blog posts, social media, email, etc. Also, it serves as the one-stop calendar for all your marketing activity. Google Calendar – this is a tool that I use to capture my offline marketing activity such as meetings and phone calls. The great thing about this tool is that it syncs with other tools. Give these tools a try and let me know your experience. You can order The BEST Marketing Planner at www.nadinemullings.com/marketingplanner.